The media in Canada is all agog over Governor General Michaelle Jean eating raw seal heart. While visiting the Inuit village of Rankin Inlet in the northern territory of Nunavut Jean witnessed the carving of a seal and asked the locals if she could try the heart. She said she did it to show solidarity with seal hunters and said it is difficult to believe anyone would characterize the traditional hunting practices as inhumane. That may be so. But did she have to eat a seal's raw heart to prove her point? Earlier this month the European Union called the seal hunt "inherently inhumane", voting to ban seal products. Well, we certainly know where Canada's Governor General stands on this issue. 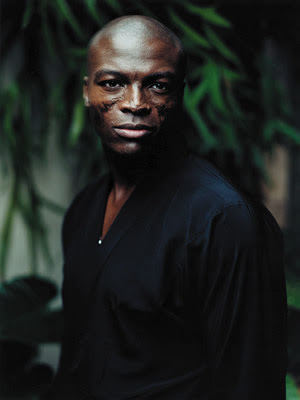 There's been no reaction yet from Seal. I'm all for women putting weird things in their mouths. I'm sure I read somewhere that seals are made of tofu, so what's the problem? So c'mon take another little bit of my heart now baby and everyone appreciates a tight seal and a properly functioning heart but raw organ meat is very bad for your body soul and spirit. just as bad as oprah promoting slave-range chicken meat versus-free range all pumped up on steroids--be a vegan love animals don't eat 'em don't beat 'em and especially don't beat and eat 'em.